Looking for an affordable way to promote your business? Try our Rack Cards. Rack Cards offer a larger area to get your message across. Describe a service, promote a special offer, the uses are endless. Our rack cards are digitally printed on 100 lb. high gloss cover leaving a lasting impression. 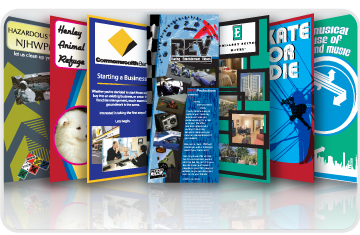 Wherever there is rack space offered, these will fit your needs.Rack Cards are a great way to highlight any business. For example, community banks, hotels, restaurants, services, the possibilities are endless. Need a fresh new design for your Rack Cards? Give Onyx a call and we can design a Rack Card that stands out from the rest. You will find our design to be very affordable without skimping on creative individuality.